Inspired by the luxury light fittings found in boutique hotels , this designer floor lamp by RV Astley will make a striking addition to a hallway or living space. 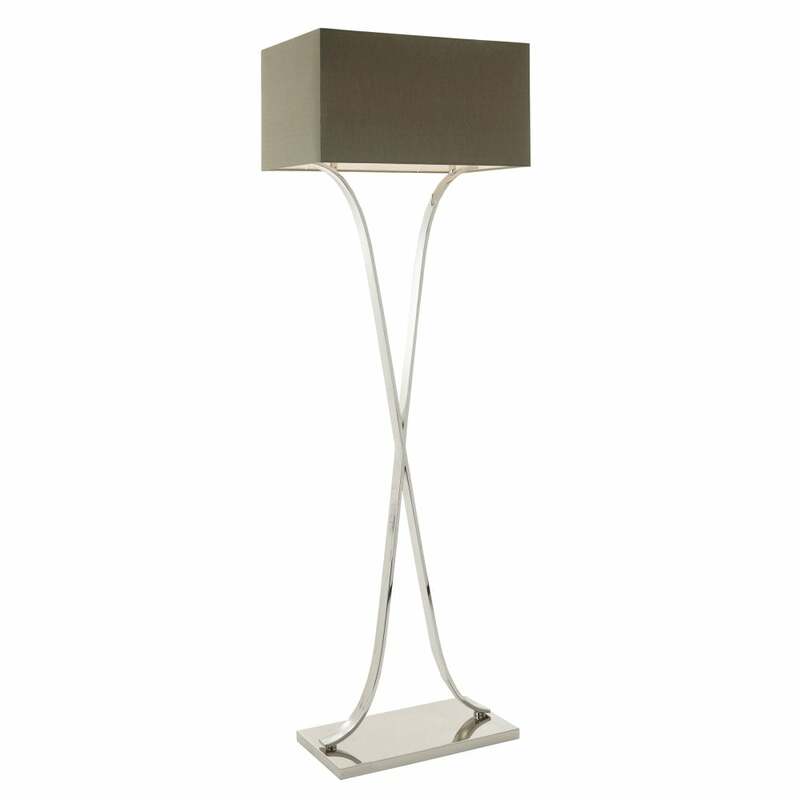 The Byton Floor Lamp features a sculpted frame with a simple cross design. The curved shape is mounted upon a rectangular base plate forming a tall and elegant floor lamp that will add height to your interior scheme without restricting space. Style with neutral hues of mink, taupe and grey lilac for a sophisticated interior design scheme. Crafted from polished nickel, Byton is finished with a rectangular grey shade. Get in touch with our team of experts for more information and advice.